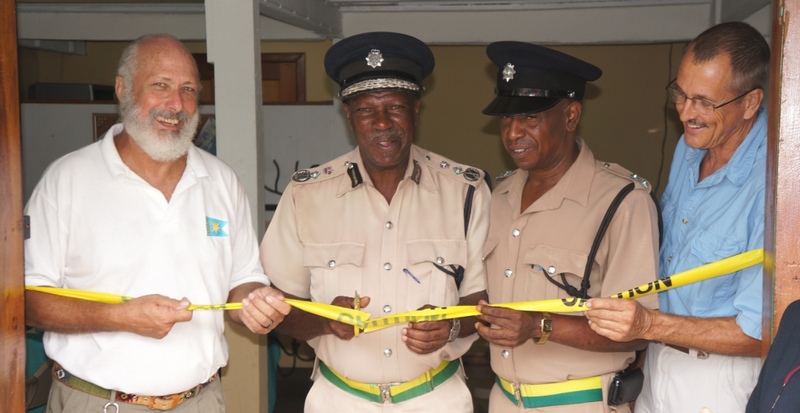 On December 15, 2012, a new Police Station was inaugurated in the Maya Beach area, now designated as a precinct of the Placencia Formation in the Stann Creek District. The fully furnished and outfitted Police Station is the product of effective collaboration between the Ministry of National Security, the Placencia Police Formation and the business community and residents of the Peninsula, over 70 of whom have donated material, cash and labor. Present for the inauguration was Commissioner of Police, David Henderson and the Officer Commanding the Placencia Formation, Inspector Mark Flowers. Speaking on behalf of the local business community and residents were Mr. Doran Yount, Coordinator for the Peninsula Community Crime Watch; Mr. Dan Edwards, co-organizer of the group; and Miss Deb Coston, Justice of the Peace and Warden of the US Embassy. The Building was blessed by Reverend Jeanne Marechal. 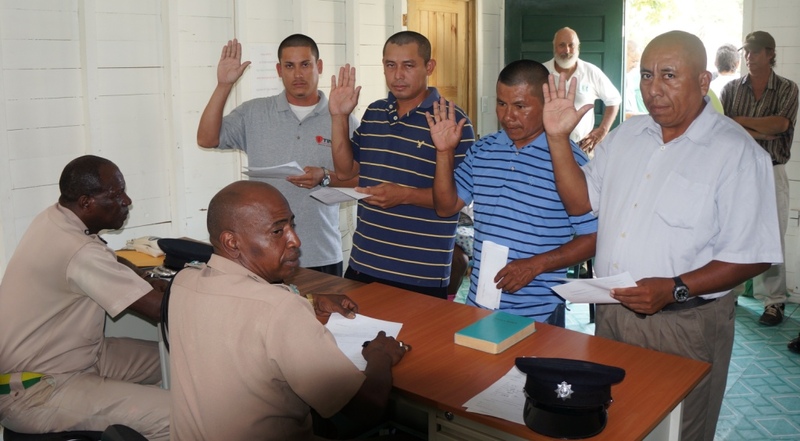 Following the inauguration, the Commissioner of Police and the Officer Commanding the Placencia Formation presided over the swear-in of 16 new Special Constables for the area. Another 12 additional Special Constables will soon be sworn in, for a total of 28 new Special Constables for the Peninsula. 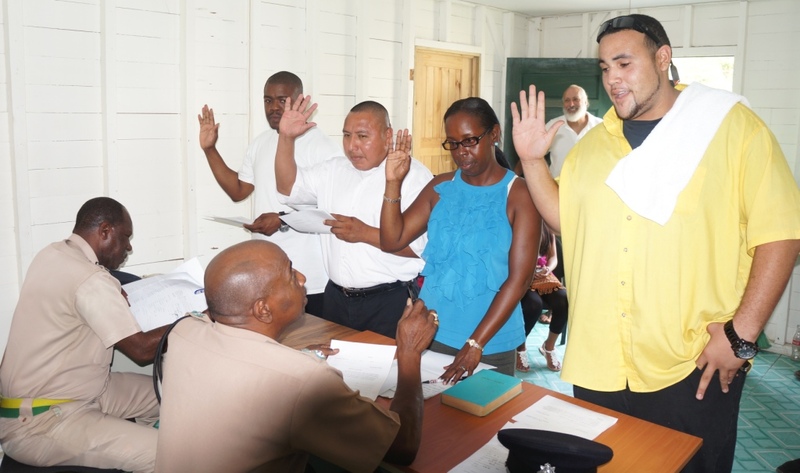 The names of the 28 special constables are Shaleni Cawich, Kenneth Ferris, Joel Bo, Herman Choc, Aaron Krohn, Benifacio Cal, Jamie Leslie, Herman Ack, Adolphus Molina Jr., Jamal Martinez, Marion Muschamp, Norman Leslie Jr., Charlene Guzman, Juan Choc, Marcelo Pou, Michael Sheppard, Pedro Mas, William Parada, Patrick Patnett, Dennis Weiss, Jamal Martinez, Wilkie Garbutt, Egbert Feiger, Leonides Ramirez, John Rash, Neville Lopez, Eugene Paul Leslie, and Sinclair Diego. Hon. John Saldivar and the Ministry of National Security commend and congratulate the business community, special constables and residents of the Peninsula for their invaluable contribution, participation and partnership as we work together to restore safety and security throughout our community.